Royal Palace | Flickr - Photo Sharing! 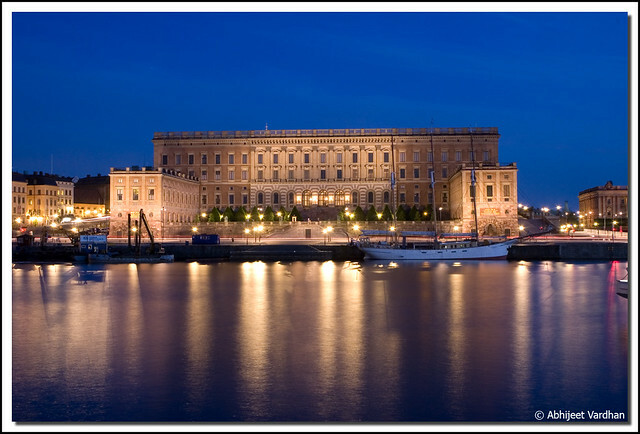 The Royal Palace, Stockholm, Sweden. This shot was taken around 23:00 hrs on 6th June, which is Sweden's National Day. As you can see, the sky is still blue and hardly gets darker than this. The blue hour lasts nearly all night long. A great boon for night photographers! Jasya, Deborah Willingham, and 21 other people added this photo to their favorites. Gorgeous ... what a wonderful building & photo - great lighting and colors. I love the reflection and that blue sky at night! I never knew that about Sweden. Learned something new from you! Terrific lighting and textural details, great reflections. Well done. Beautiful scene with superb reflections. I saw this in Ultimate Shot ~ Post Invited Images Only! Great pov and a graceful shot. You are I n v i t e d! Wonderful night shot, perfect lighting! Please add it in theThe World of Architecture, and we'd love to have this added to the group!